This morning I was reading Acts and was struck by Paul’s willingness to purify himself along with Jewish Christians at the suggestion of James and the Jerusalem elders (Acts 21:17-26). It would have been so easy for Paul to harden his heart toward his Jewish brothers in this scenario. So much of his ministry to the Gentiles had been plagued by Jewish Christians adding Jewish rites onto the gospel. It would have been so easy for him to take offense, to separate from the Jerusalem church, to exercise his freedom from the law at their expense, perhaps even to look down on them. He could have said, “brothers, if I let myself undergo Jewish purification rites, I will be playing right into the hands of all my opponents. They’ll use this to prove that these rites are necessary for all Christians.” That would actually be a pretty good argument. Or he could have said, “brothers, I have already suffered much, and am about to suffer much more, at the hands of Jewish agitators. They have consistently rejected Christ and persecuted me. They are hardened. They don’t deserve further sacrifice.” We’d probably be tempted to feel that way if we had received the 39 lashes 5 times from the Jews (II Corinthians 11:24)! Or he could have said, “brothers, you are fearing man rather than God by adding onto the gospel. We are free in Christ and under no obligation to undergo these rites.” This would have been true, for Paul was free from the law (I Corinthians 9:1, 20). No one could have judged him for abstaining from purification. Or he could have said, “Look at all the miracles and conversions God is doing through my ministry among the Gentiles. That’s where my calling is. I am not an “apostle to the Jews” like James, John, and Peter (Galatians 2:9). This is not my mission field.” Once again, there would have been some truth to this. 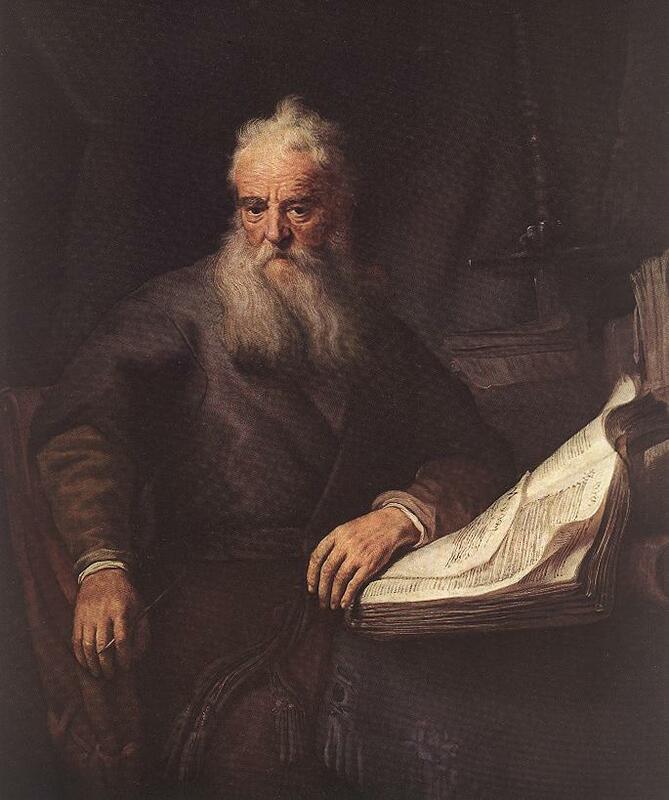 But Paul cared about all kinds of people in all locations, not just those within his most immediate sphere of calling. But Paul doesn’t say any of these things. He shows amazing concern for the unity of the Jewish and Gentile wings of the early church, and amazing love for unreached Jews being presented with the gospel in Jerusalem. Just as he had Timothy circumcised (Acts 16:3) despite having written to the Galatian Christians that circumcision would make Christ of no avail to them (Galatians 5:2), so also he underwent purification with the Jewish Christians in Jerusalem – even paying their expenses (21:24)! Paul is flexible. In love he goes out of his comfort zones in order to give as little offense as possible to all kinds of people. He adjusts his strategies and habits according to the different real-life scenarios in which he is placed, seeking to be faithful to the gospel without putting a stumbling block to Christ and the gospel in anyone’s way. He’s virulently opposed to circumcision and the ceremonial law being demanded of Gentiles, but is willing to submit to these practices when not doing so would damage gospel ministry among the Jews. Being flexible is not the same as selling out on the gospel. Being flexible honors the gospel. Being flexible is Pauline. What might it look like for us today to follow Paul’s example in being flexible for the sake of the gospel? “We endure anything rather than put an obstacle in the way of the gospel of Christ” (I Corinthians 9:12). Interesting Gavin–I have been reading Acts and marveling at how the early church operated–you ask a very good question about how we can be more like that in this day and age. Great post, Gav. Very thought-provoking. It’s got some serious implications. (le-havdil), A analysis (found here: http://www.netzarim.co.il (that is the only legitimate Netzarim)) of all extant source documents and archaeology using a rational and logical methodology proves that the historical Ribi Yehosuha ha-Mashiakh (the Messiah) from Nazareth and his talmidim (apprentice-students), called the Netzarim, taught and lived Torah all of their lives; and that Netzarim and Christianity were always antithetical. Judaism and Christianity have always been two antithetical religions. Thus both the terms “Jewish Christians” and “Hebrew Christians” are oxymorons. The mitzwot (directives or military-style orders) in Torah (claimed in Tan’’kh (the Jewish Bible) to be the instructions of the Creator), the core of the Judaism, are an indivisible whole. Rejecting any one constitutes rejecting of the whole… and the Church rejected many mitzwot, for example rejecting to observe the Shabat on the seventh day in the Jewish week. Examples are endless. Devarim (“Deuteronomy”) 13.1-6 explicitly precludes the Christian “NT”. Devarim 13:1-6 forbids the addition of mitzwot and subtraction of mitzwot from Torah. Ribi Yehoshuas talmidim Netzarim still observes Torah non-selectively to their utmost today and the research in the previous mentioned Netzarim-website implies that becoming one of Ribi Yehoshuas Netzarim-followers is the only way to follow him.